True. We are suffering through our third week of nearly solid triple digit temperatures and, as you probably can imagine, there hasn’t been much cooking going on in our home. The heat has sucked all of the inspiration to cook and eat out of me. Sure, we’ve been eating, but it’s been lots of bowls of locally-grown watermelon and cantaloupe, gazpacho, watermelon-tomato gazpacho, salads (with our favorite homemade Italian salad dressing), egg salad and other easy to prepare foods that do not require the stove, oven or even a (gasp!) grill. Oh, and we’ve been consuming plenty of soft serve, too. Water is essential in this sordid heat, but I have a new favorite drink. Limonada. This is a staple in Mexico and is so easy to make, I am guessing it is going to be your new favorite bev as well. Since there are only limes in Mexico, it is called a limonada, but you could easily use lemons and you should know that naranjadas–made with orange juice–are also frequently offered by cantineros (bartenders) and meseros (waiters) throughout the pais (country). But you don’t have to be in Mexico to cool off with this classic version of an adult lemonade. 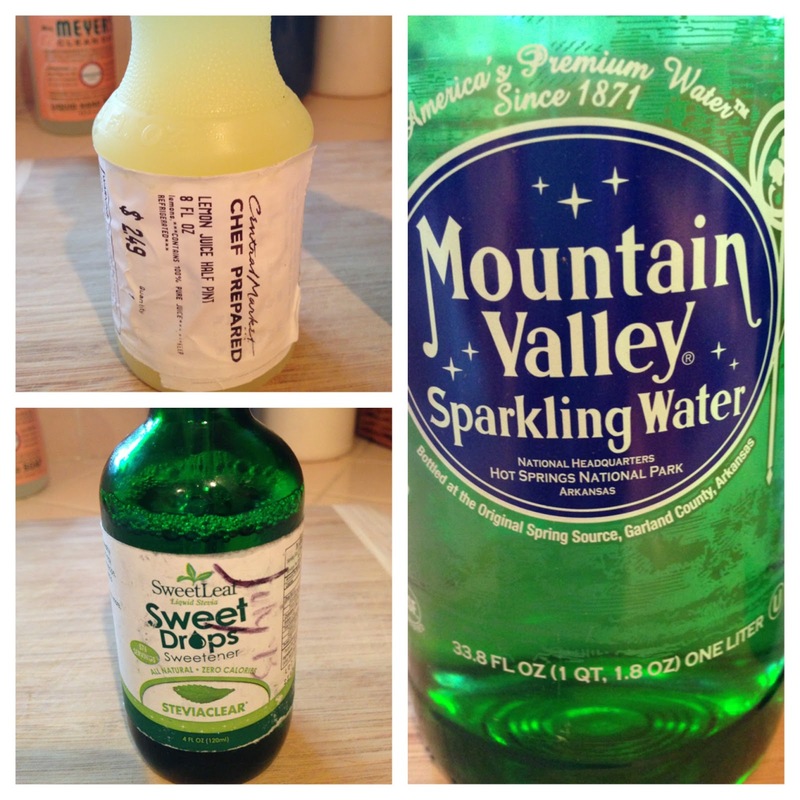 All you need is fresh lemons or limes (or oranges), sparkling water (such as Perrier or Mountain Valley Spring) and a few drops of liquid stevia. So, when life gives you excessive heat, have una limonada, por favor! While it's called a limonada, you can use lemon juice or lime juice interchangeably. In Mexico, there are no lemons, just limes--hence the name limonada. You could also use half lemon juice and half lime juice or use orange juice to make a naranjada. If you do go with the orange juice, use about half of the stevia drops since oranges are much sweeter than limes or lemons.